A rectifier is also called current rectifier. It is an electrical device that converts alternating current (AC) to direct current (DC). The process is known as rectification. It takes a number of forms, including vacuum tube diodes, ignitrons, mercury-arc valves, solid-state diodes, silicon controlled rectifiers and other silicon-based semiconductor switches. On the contrary, a device that can convert DC to AC is called “inverter”. Current rectifiers are widely used and often found serving as components of DC power supplies and high-voltage direct current power transmission systems. Silicon controlled rectifiers can also be used for power supply device (like a charger) and for detecting radio signals. In order to reduce the device damage caused by overvoltage breakdown and to improve the reliability, we can choose silicon avalanche current rectifiers. Silicon controlled rectifiers can eliminate cars’ clutter interference, stabilize output voltage, improve power system’s instantaneous discharge capacity and increase the torque output. Current rectifier can not only speed up the throttle’s response and extend battery life, but also shorten the car engine starting time and improve the ignition efficiency. The effects are more obvious especially on small displacement car. Besides, it provides charging voltage for storage battery. 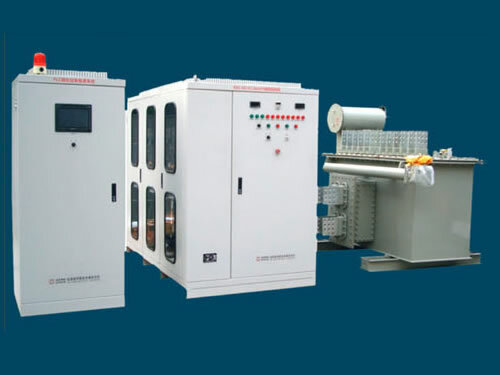 In the high power diode or silicon controlled rectifier, the power grid’s high voltage AC power is converted into DC power through current rectifier. Based on the uncontrollable diode frontier products, the new type in the future may include chopper, chopped wave DC, DC converter or current source inverter type of active rectifiers. The newest type contains more technology development and more advantages. For example, this type of current rectifier adopts very small harmonic interference and power factor to load on the power network. It is the simplest rectifier similar to silicon controlled rectifiers. This current rectifier even does not provide any means to control the output current and voltage values. In order to be applicable to industry process, the output value must be controlled within a certain scope. The on-load tap changer of applied mechanics can complete this control. As a typical case, the changer controls the input AC voltage, thus it can control output DC value within a certain scope. 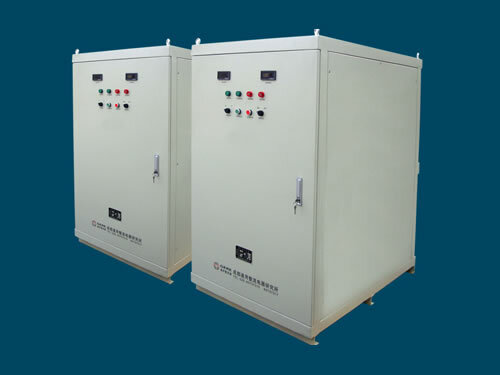 This changer is usually used with the saturated reactor connected in the rectifier output circuit. Through inducing DC current into the saturated reactor, variable impedance will be produced in the circuit. Therefore, we can control the output value in a narrow range through controlling the voltage on both ends of the electric reactor. This current rectifier is very similar to the diode rectifier in design. 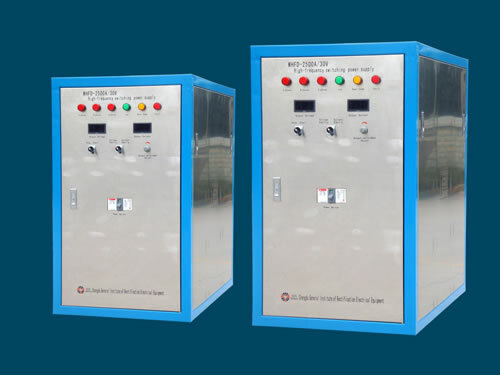 Because its electrical parameter can be controlled, the silicon controlled rectifier doesn’t need on-load tap changer and saturated reactor. The system maintenance reduces because of not containing moving parts. Thyristor rectifier's regulating speed is faster than diode rectifier, which can avoid overcurrent. Thus the overload ability is designed to be smaller than diode system. 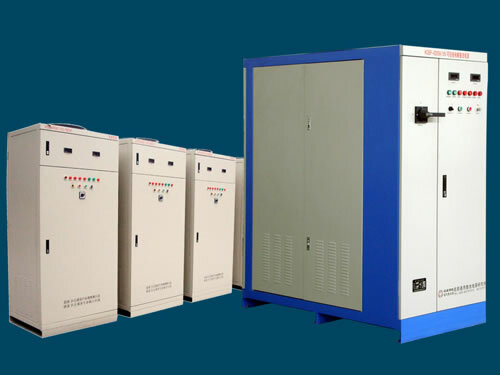 Chengdu General Rectifier Research Institute is a professional manufacturer and supplier of current rectifiers in China. We mainly produce electrolytic, electroplating and silicon controlled rectifiers. Our products have been exported to USA, Germany, Australia, Singapore, India, Brazil, Iran, Vietnam, Kazakhstan and Malaysia, etc.